Java MySQL JSON Display Records using Jquery. This is the continuation of my previous Java tutorial Insert Records into MySQL database using Jquery, now I want to explain how to convert records data into JSON data format and display JSON data feed using Jquery. 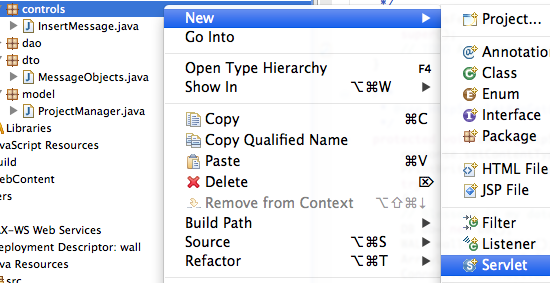 It's simple just follow few steps with Eclipse IDE, hope you understand the Model View Controller pattern Thanks! Sample database messages table contains two columns msg_id and message. Previous Tutorial: Java MySQL Insert Record using Jquery. Create a new package called dto (Data Transaction Objects). 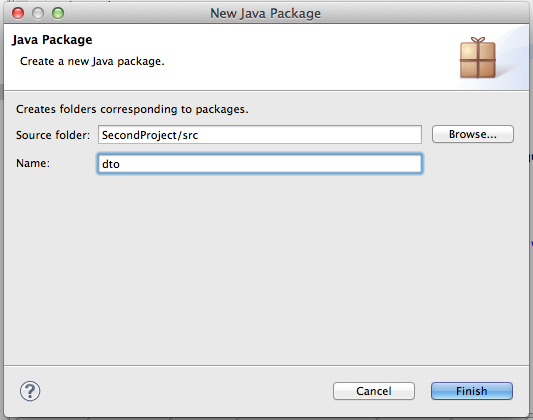 Right click on src -> New and then select Package. Give Package name and click finish. 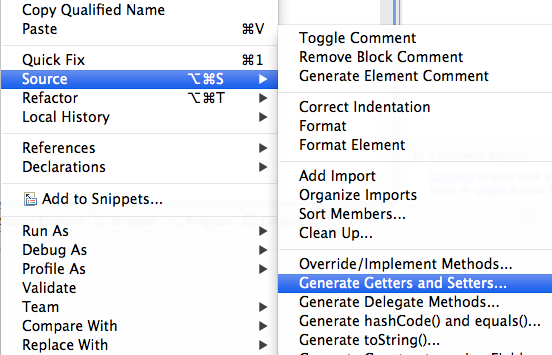 You have to generate Getters and Setters, just right click on the code. The follow popup window will appear, now select all transaction objects and click Ok. Automatically Eclipse will generate so code. This system very useful, if sometimes we have large number of transaction objects. 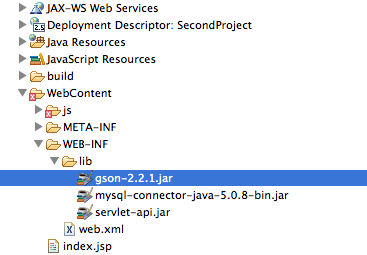 For JSON data format you have to copy gson.jar into library folder. Download code contains these JAR files. 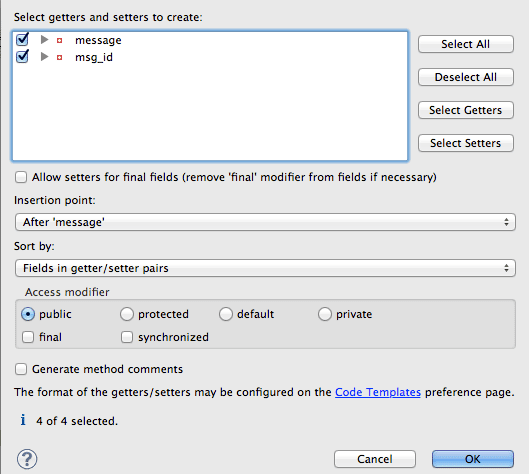 Create a method GetMessages with Arraylist datatype, using select statement getting results from messages table. 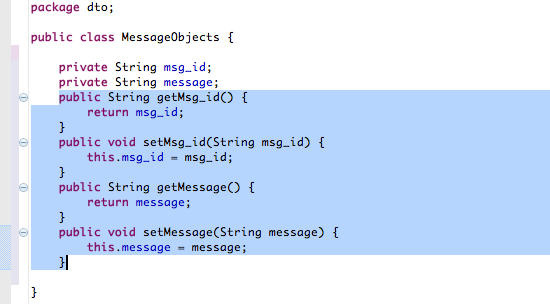 Binding results into messageData object. Create servlet class in controls package. Converting messageData object data to JSON data format. Add servlet class mapping in web.xml file inside WEB-INF directory. JSON Output for messages data. "message":"Make People fall in love with Your Ideas"
Final step display JSON data using Jquery. Using $.ajax calling GetMessages servlet then reading JSON data with $.each method and appending data into content div. This is perfect. Thanks. But there should be more post on j2ee. Currently there are only 3-4 post on j2ee. Your JEE tutorial is very good! Thanks! note The full stack trace of the root cause is available in the Apache Tomcat/6.0.18 logs. can you help me for this error it is important for my final year project. the improvements are that it produces nicer html with only 1 div instead of a div in a div, and it got easier to style with css. Add servlet class mapping in web.xml file inside WEB-INF directory. WHERE IS this shown?